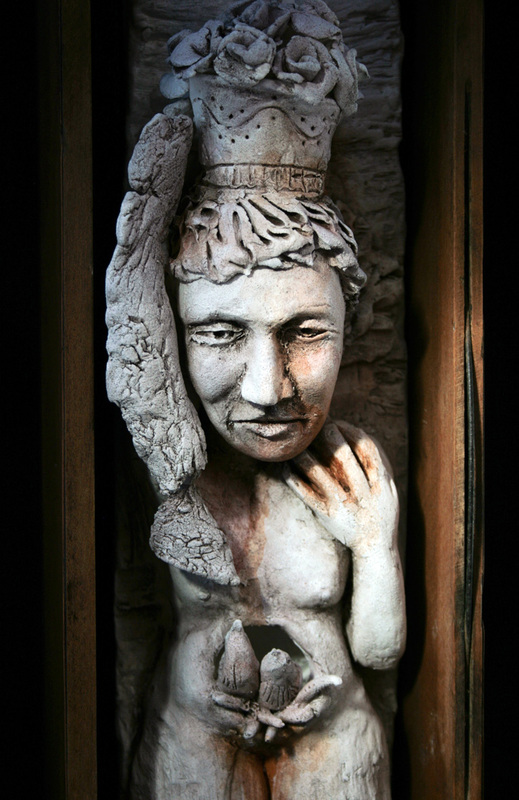 Caryatid number seven – fired and stained. I am hoping to complete a bakers dozen to hang along the longest wall of the gallery. Each caryatid will be in a vintage sewing machine drawer.